The best place to start with any search for educational resources is the internet. That’s probably how you ended up here! But it’s important to recognise that not all internet sources are as useful as each other. When you’re looking for water conservation resources for kids, try and narrow your search to suitable sources. Adding ‘Australia,’ or ‘Queensland’ into your search terms will help you find the most applicable resources. When it comes to finding useful water conservation resources, the Fraser Coast Council has you covered. With the Council’s Wide Bay Water page, you can learn about where your own water comes from. With this knowledge, it’s easier to teach kids about water conservation. You can start from the start and show them where it comes from! The Water Education Foundation is an international organisation. It promotes water conservation worldwide, and offers some great resources for kids. After all, as the Foundation itself says, kids are the future of water conservation. Don’t underestimate your own ability to teach kids about water conservation. All these resources are great tools, but they may not cover everything. 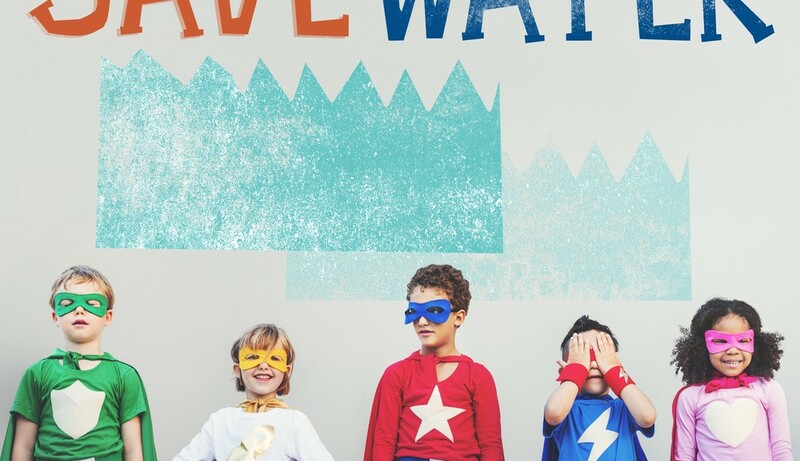 Often, when it comes to teaching kids about water conservation, you’ll have to fill in the gaps – so read up on saving water! Utilities companies are normally very good at promoting water conservation. So why not check with them for some useful, kid-friendly resources? Most dams and lakes are administered by utilities companies, such as SunWater. These companies can keep you posted on dam levels, conservation tips, and strategies to promote water conservation yourself. In South Australia, they know a thing or two about the importance of water conservation. That’s why Natural Resources SA put together a great fact sheet on water conservation for kids. This fact sheet offers educational-standard resources on water conservation, and it’s a great tool for teachers and parents alike. If your kids want to know about water conservation, why look any further than the Murray Darling Basin Authority. Tasked with conserving water within Australia’s largest river, who could know better than them? The Australian Bureau of Meteorology are our go-to when it comes to the weather. But a lot of people aren’t familiar with their education resources. That’s why we would encourage to get on their website and check out some of their water conservation information pages. If in doubt, it’s hard to beat the humble picture book when it comes to educating kids. And in terms of water conservation, there are plenty of kids books on offer! Finally, nothing beats a practical education. That’s why we suggest taking your kids around the house to find areas in which water conservation could be improved. Water conservation is up to all of us, and there’s always something to be done. If you would like to know about staying hydrated in hot weather, get in touch with So Fresh today!